TaylorMade Golf is the dominant metalwood manufacturer, achieving phenomenal on course and marketplace success over the past two years with the R11/R11s/Burner 2.0/RocketBallz white headed clubs. The introduction of RocketBladez irons is meant to do the same in the iron market segment. According to the company president Mark King, the new line of irons will be a game-changer in terms of performance and take TMaG to the top position in irons. However neither marketing nor hyperbole is a substitute for the result after a club strikes a golf ball. The reason golfers buy it is because it performs – plain and simple. With that in mind, RocketBladez irons according to TMaG, hit the ball further and they back that claim up with their extensive testing plus they say the new irons give the control and feel required by pros and better players. 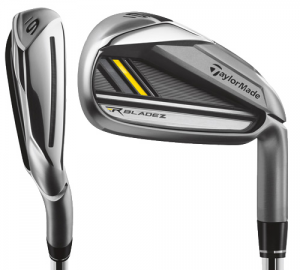 To achieve this double whammy TaylorMade figured out how to put a 2mm polyurethane-filled slot behind the clubface, a first in iron design, and similar to the slot found in the RocketBallz fairways everyone raves about. This slot or ‘Speed Pocket’ appears in the 3- through 7-irons and works in conjunction with their proprietary inverted cone shape behind the clubface and high MOI from redistributed weight. At impact the Speed Pocket allows the clubface to flex providing a trampoline effect to the ball which launches higher than other iron designs and goes further too. The heads of both the Tour and regular RocketBladez models are cast rather than forged to facilitate inclusion of the slot. That’s correct, cast not forged. The fact is and contrary to popular opinion, it’s virtually impossible to tell the difference between a typical forged iron and properly designed cast iron. Both RocketBladez models have a redistributed weight placement, milled grooves and face texture with the Tour model having a thinner top line and less offset. And since bending cast irons for precise fitting is difficult there’s a notch on the hosel to make bending to a player’s specifications more readily accomplished. TaylorMade has the reputation of making very good players irons but not necessarily ones for less accomplished golfers though the purchase of Adams Golf certainly changes that given Adams strength in the seniors and ladies segments. Company officials are frank when describing their plan namely to be as big a factor in the iron business as they are in metalwoods and in my opinion the RocketBladez are a good start to achieving that goal. TMaG has a track record of product innovation most recently with the R11/Burner 2.0/RocketBallz lines but also back to 2004 when they were the first to make metalwoods adjustable to player preference and even back to the Pittsburgh Persimmon, another game-changer. 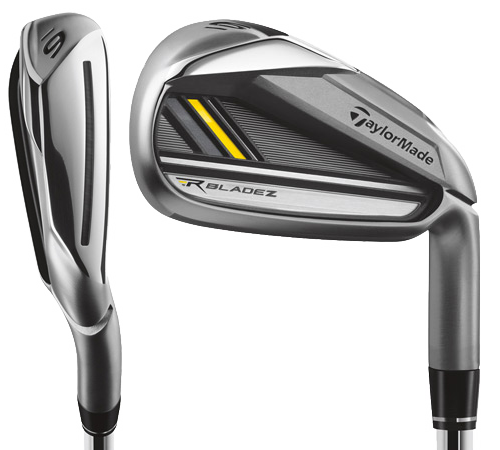 RocketBladez will be available Dec. 1 with a SRP of $799 (steel shafts) and $899 (graphite). The Tour model debuts Feb.1 at $899 with steel shafts.